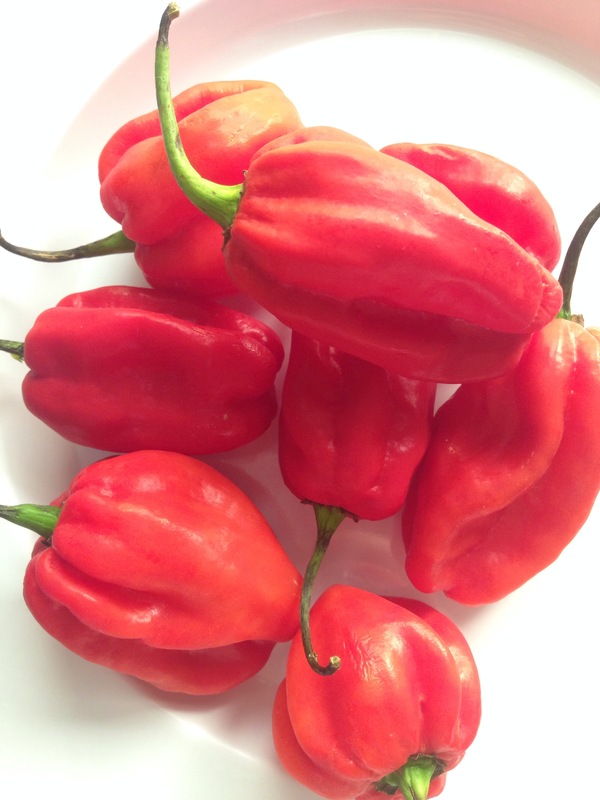 Be very careful these habanero peppers are extremely hot and the oils can cause serious irritation (and pain). Do wear gloves, sun glasses or use scarf to cover your face and wash your hands immediately after with soap and water. Put everything in mixer except vinegar and make a coarse paste. Please wear sunglasses and cover your face while grinding. Add vinegar and stir well. 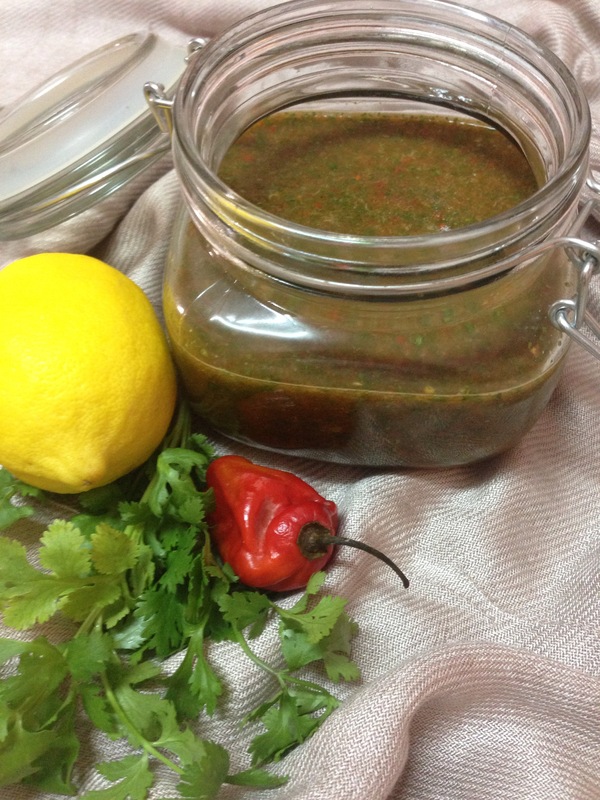 Transfer the sauce in clean glass jar, this sauce will remain good in fridge for 6 months as vinegar is used in it instead of water. 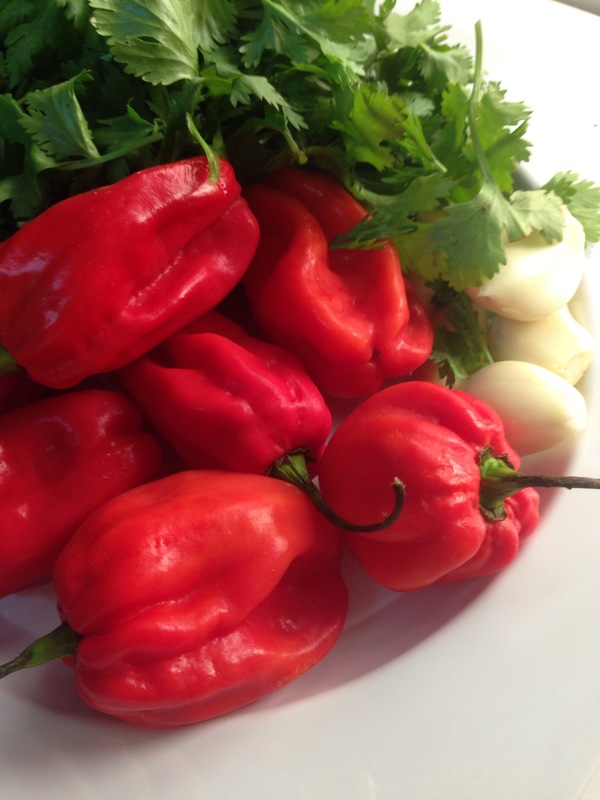 This sauce can be used in marination of meat and chicken and can be used in spicy salsa too.